We’ve just come back from my first trip to Italy which I surprised my boyfriend with for his birthday. We had the very best time sightseeing, eating lots of pasta and drinking plenty of prosecco. I am by no means a Rome expert, but here are my top tips for enjoying a mini break in the city. Rome is best explored on foot as there is something to see (and photograph!) around every corner which may be missed if you decide to take the Metro instead. Plus, although you will walk loads (we walked about 50 miles over three days! ), it doesn’t feel like you’ve walked very far, as there’s always something to stop and look at, plus prosecco and lunch stops. We did use the Metro to go to the Vatican, as that’s a little further than the most central attractions. Journeys cost 1 euro 50 and it’s really easy to use. Get off at Ottaviano for the Vatican Museums and St Peter’s Basilica, it’s only a short walk from the Metro station. Most of the attractions have audioguides for you to hire for about 5 euros which tell you all the history of the buildings and ruins. I’m not super into history but I did love learning more about where I was. If there are two of you, I would recommend just getting the one audioguide – they’re pretty loud so you’ll both be able to hear it and this’ll save you some pennies which leaves you more to spend on pasta! There is literally SO MUCH to see in Rome that I think even if you were there for a fortnight you wouldn’t be able to see everything – plus you’d be absolutely exhausted! We only had three days there so we made a loose plan of things that we definitely wanted to see and then looked on the map to see what else we could fit in. The city is pretty easy to navigate and we got a map from the hotel reception which was great. When picking a hotel, put location as number one on your list of desirables. You will hardly be spending any time in your room, so it doesn’t really matter so long as it’s clean. 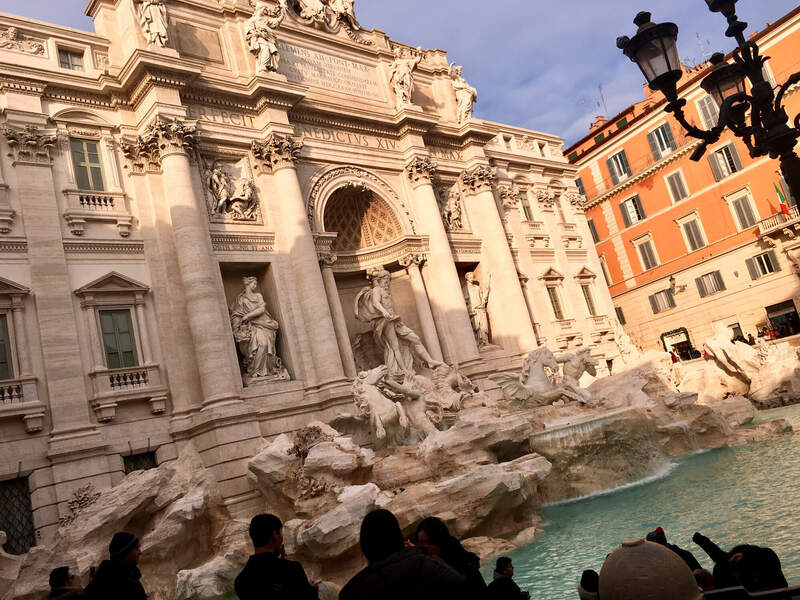 We stayed at the Hotel Miami which was pretty basic but had lovely, helpful staff and a great central location which was 15 minutes from the Colosseum and 15 minutes from the Trevi Fountain, so it was a great base for exploring Rome. We had a bit of a coffee disaster when we nipped into McDonald’s (how Italian!) for a takeaway coffee. We ordered two lattes which turned out to be two cups of hot, frothy milk! I’d advise you to order a cappuccino instead to avoid any similar incidents or, if you really fancy a latte, make sure you specify that you want coffee. One of my colleagues at work had a similar coffee accident (albeit a happier one) when she accidentally ordered coffee with a shot of sambucca – whoever thought that coffee ordering could be such a minefield?! Keep a look out for my Rome travel diary which will be live on the blog over the next few days.